Recently I've been on a health kick and I'm pretty proud of the progress that I've made, I'm down 15 pounds even in these busy times. I've been trying hard to eat healthy, cut down on sugary drinks, and be more active. With the help of pinterest this new healthy venture has been surprisingly easy, I've found so many healthy recipes and alternatives to keep me going. The hardest part of it all I have to admit is keeping myself hydrated, which is super important if I want to maintain all the progress I've been making. I have been noticing so many pins about making your own flavored water, so I thought I would try it out. Not only have I been more excited to drink a healthy serving of water, but it's such a cheap alternative to store bought flavored water! 2.// Water, you can use mineral or sparkling if you please! 3.// Fresh Fruit or Frozen Fruit. 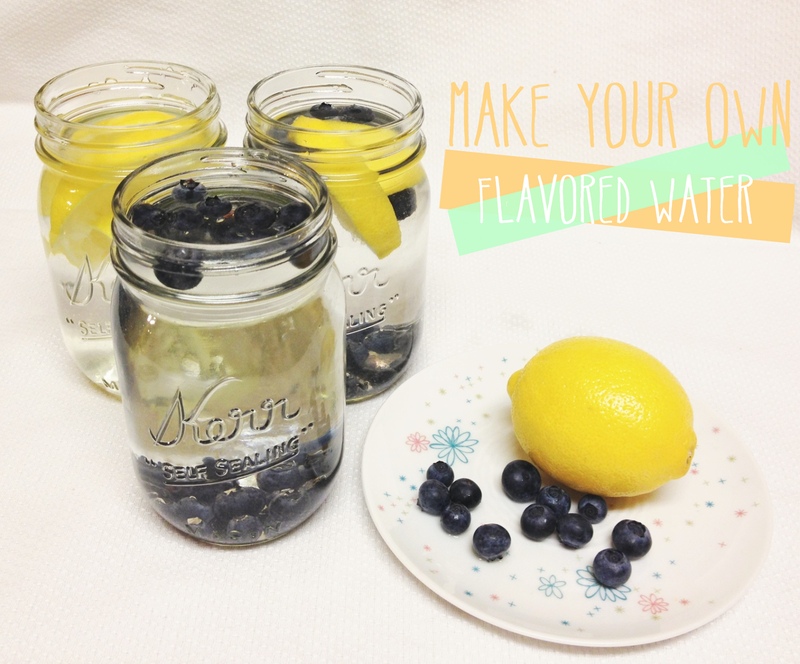 I used fresh lemon and blueberries for my water, but you can find so many insane and delicious flavor combinations here! Then I just stuck my sealed mason jars in the fridge overnight and I'm all stocked up for the next day. Don't be afraid to try your own and mix it up! I'm sure the possibilities are endless. If you make your own water, let me know what flavors you try! I'll be making more soon and I want more yummy flavors to taste! That combo sounds yummy! I've got tons of frozen blueberries, so I'm going to try it! Have a great week!! I love flavored water! Everything looks so much better in a mason jar though! Your photographs are so lovely!! I'm a water drinker, so sugary drinks aren't an issue for me, but when I'm trying to focus on eating well and losing weight, water drinking seems to go out the window. I'll come home at night and realize that all I've had to drink was some coffee that morning (which is a diuretic!). It's terrible! I'm going to try this tonight. :) New to the hop. I'm so glad to have found your blog...and to now be following along! Flavoured water is amazing. My favourites are cucumber and lime, and letting a green tea bag sit in cold water for a bit with lemon. New follower! I am going to go make that flavored water RIGHT NOW. Thank you for the awesome tutorial! I've linked up for GFC blog hop! Awesome Idea! This is my first time visiting your blog and oh my gosh, I LOVE the yellow. It's so fresh! The background pattern really makes it though. So pretty! I feel so inspired to find a reason to use yellow now, haha. Following from the blog hop! Oh I just love how happy your blog is!! Stopping by through the link up...and I'm a new follower. Thanks for hosting!! 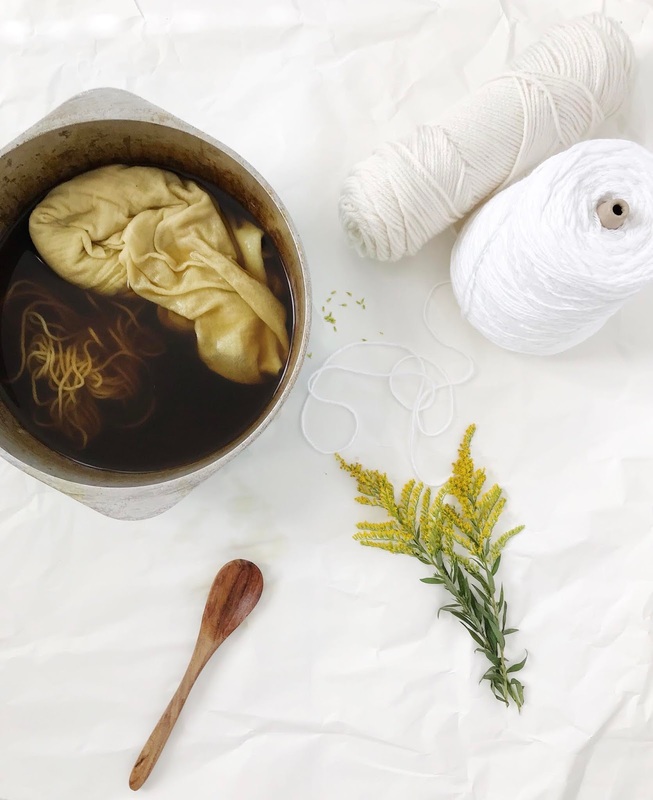 I am huge advocate for natural and frugal items! Flavored water is awesome but it should be made with real ingredients not just synthetic blueberry or lemon flavors! Awesome idea! This blog hop is such an awesome tool for connecting! I'm a new follower. :) Thanks for sharing the idea!